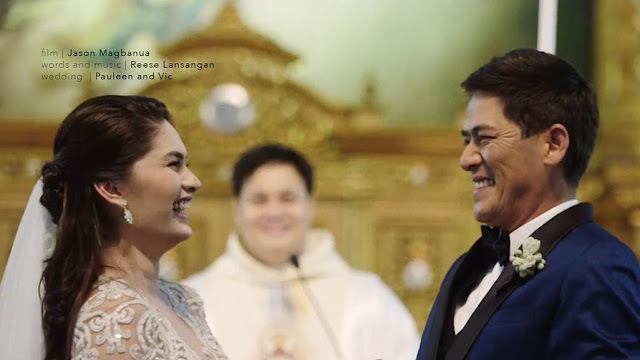 After being together for almost five years, the celebrity couple Vic Sotto and Pauleen Luna enjoy their life along with their newly built mansion. They got married last year and now had a baby girl named Talitha that got recently baptized. It was revealed by Pauleen in September 2014 that Vic Sotto had bought a 1,300 square meter property in an exclusive village in Laguna. The house took long enough to build which lasted for about a year and a half because they wanted it to be perfect. The living area has a refreshing vibe that makes the entire house quite soothing. 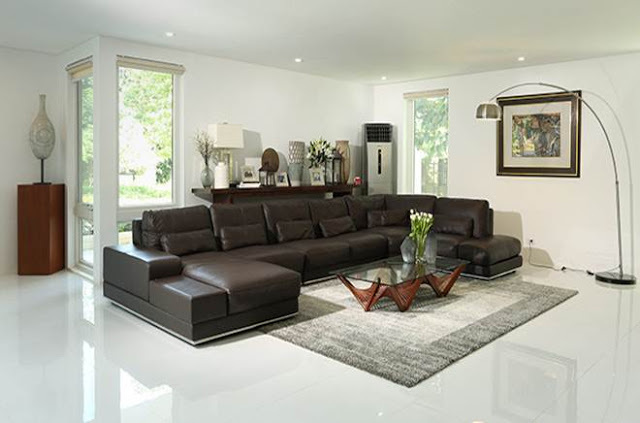 It has a complete set of sofa and living room materials which complements the ambiance of the room. 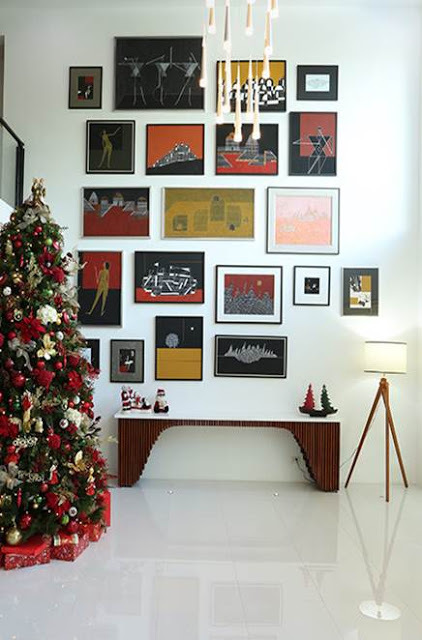 Their living area also has a lot of paintings which were made by the National Artist for Visual Arts, Arturo Luz and the father of Vic’s former partner Angela Luz. 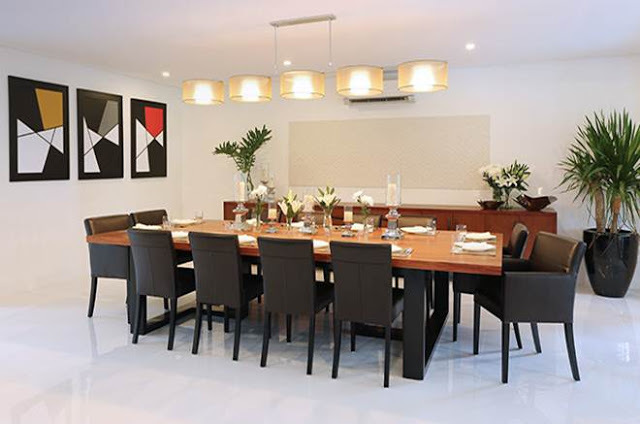 Their dining area was built to accommodate a lot of people having a costly dining table with 12 upholstered chairs. Its hanging lamp shades also captivates the eye of any visitors as it gives a balanced lighting all over the room. The room also features some paintings which are made by Paulina, Vic’s daughter with Angela. The pool area near their veranda is such an eye-popping view which features a very classy outdoor. It is genuinely made for their family gathering and sometimes for their visitors to enjoy a chilling breeze during their stay. Although the village is far away from their workplace, Pauleen stated that they always sought forward to go to their house. 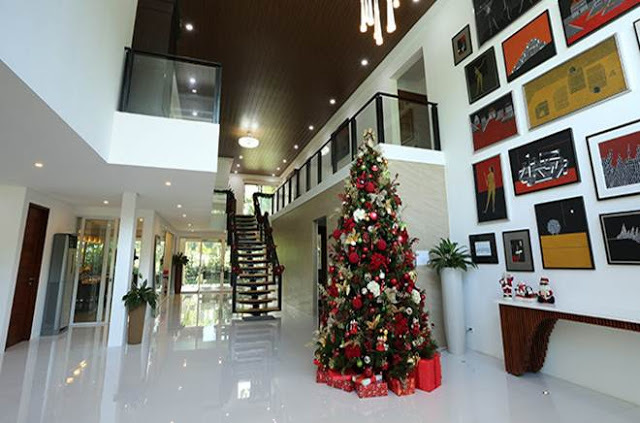 Vic and Pauleen still spend their time mostly at home and enjoy their stay in this beautiful mansion with their baby Talitha. 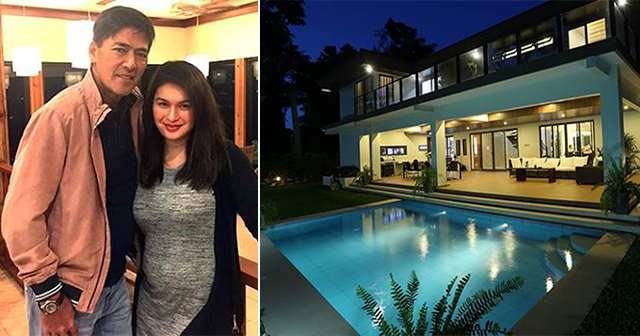 What are your thoughts about this huge house of the TV actors/host Vic Sotto and Pauleen Luna? Share it with this article!